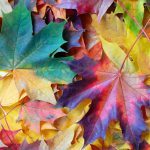 Disastrous summer storms, flooding incidents, poor planting and trimming practices and waves of tree pest incursions into the city of Brandon, Florida can absolutely have a huge effect on the health of your trees. Tree removal is certainly a serious but also indispensable answer to your tree problems in Hillsborough County. At any one point in time, more than 1 in 10 trees are either dead or dying according to large-scale urban forest study published this year. We can remove those trees and extract the stumps too while we’re at it. We often replace them by replanting native tree species more suited to our climate which lies on the border between temperate and sub tropical here in Brandon, Florida. They cleanse our water, they oxygenate the atmosphere we inhale, they help minimize traffic noise and they decrease the level of climate change by sequestering carbon dioxide. Over 60,000 tons of CO2 gas is sequestered annually by trees in nearby Tampa, for example, says a highly respected report published this year (2018). Trees likewise underpin biodiversity as they are normally host to many distinct plant and fauna varieties. As stated by the Arbor Day Foundation, one single sizable tree will be able to supply a day's supply of oxygen for as many as 4 humans. They are without a doubt desirable when it comes to the planet, our natural environment and they uplift the human spirit. Why else, do people favor living in tree-lined streets? Based on known facts and common knowledge, for more than 99.9% of the time, they are only a positive presence in our world. So precisely what's the aim of removing trees? Just why is this, the most radical kind of tree service, necessary? Tree Trunk - Fine wood particles at the base of the tree's trunk implies that tree-boring beetles are eating the inside of the tree or laying eggs. In this situation the damage will most likely happen hidden from sight. The tree will end up being more and more weak from disease, loss of tree sap and loss of structural integrity. After that it will most likely fall down. Various other indicators of problems can be detected whenever the trunk has bark missing or perhaps very loose bark. We check for openings and splits on the trunk also, especially if fresh. New technology such as ultrasound machines and old tech such as sounding hammers and increment borers can tell us the extent of any hollow voids within the trunk of your trees. If the space inside is more than 30% of the total volume of the trunk, problems will arise in the near future and sooner in squally weather. 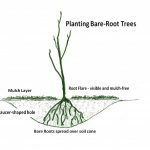 Root System - The well being of the root system is equally crucial with respect to the physical condition of the tree. If they reveal breakage or decay, then your tree is most likely in jeopardy. Fungus attached to either the roots or perhaps around the bottom of the tree trunk identifies that dead wood is more prevalent than not. In the event that, there is actually a good deal of fungal infestation (mushroom-like protrusions), there will likely be no rescuing the tree and it will drop sooner rather than in the distant future. An uplift of ground next to the roots suggests a partially uprooted tree. One powerful wind event could well result in the tree falling over, hopefully not over your property. Lean - Should your tree starts to slant to one single side where it was not pitching previously, it might reveal a badly compromised tree. Damage can be more serious in case accompanied by naked and/or drooping tree branches with no leaves. There is always a sliding scale of damage to a tree when it is not at its best. We will do our best to nurture it back to good health for you if at all possible. Long term, there also is much that residential and business customers can do themselves with a modicum of knowledge and just a little time. We share tips and tree care knowledge on a monthly basis in the form of a Tree Care Diary, the latest version of which (at the time of writing) is how to look after your palm trees during the summer period. The latest diary posts can be found at the bottom of these web pages. Following your call, our local company will certainly be glad to give you with a draft plan regarding the most appropriate and safest way to remove trees safely on your land. Our team is going to, in addition, provide you with a cost quote, free of charge. 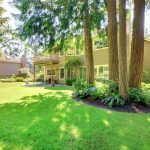 A trip to your place or building will be most ideal so as to fully recognize the scope of the task, particularly when removing a large tree or group of trees. Once you accept our proposal, a jointly convenient date and time will be set up between us so that our staff can undertake the work. There are Hillsborough County as well as Brandon City codes of ordinance laws concerning tree cutting. In most cases tree extraction will entail a tree removal permit. We do not offer legal advice apart from sharing our direct experience of previous permit applications. Nevertheless, we will be happy to share our contacts within the city planning department so that you can apply for the appropriate permit with confidence. Our staff prides themselves with showing up promptly. They are going to then perform the removal work as safely and efficiently as possible, free from the constraints of a rushed schedule. We are one of those tree companies that will then clear away your diseased or dead tree from your property and take care of waste materials through re-cycling or reprocessing as necessary. Then again, you will be able to retain some of the non-infected woodchips if you wish to mulch your other yard shrubs thereby minimize water costs in the future. We will do our best to save you money on the long run. If you have several trees on your plot, we are likely to examine them with your permission and recommend a low cost tree care solution to save you cash and also time in the long-run. Because, "a stitch in time saves nine!" As an example, reasonable tree trimming will ensure your trees safer in a storm by reducing their wind resistance as well as lowering the possibility for being blown over. And modest prophylactic pest control will keep your trees looking healthy and vibrant. Mature trees in fair condition will add up to 10% on the value of your home says the US Forest Service. But Moneysense warn that badly maintained trees will detract from the value of your property. If you keep your trees in good shape, they will repay you financially for your efforts. We devised the above 6 steps to help ensure our customers were completely satisfied with our work. 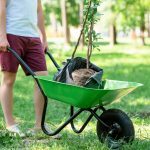 Nonetheless, some of the steps can be fast-tracked in an emergency and so take action more quickly in case one of your trees turns into an unexpected hazard. Get in touch with us with the number on this page and we’ll quickly outline the timing and our broad costs in order to undertake an emergency tree service for you. Our firm makes every effort to keep our costs and therefore your fees as affordable as we are able. The charges vary depending on simplicity of access to where we need to work, the species of tree affected, the tree’s elevation above the ground and also proportions, the nature of the situation with your tree and whether or not additional gear such as a crane is needed. Despite not publishing a price list, you will discover our service to be insured, properly licensed, well-considered, costs estimated fairly and the work carried out effectively and with reduced risk. Our firm will be able to give you some financial savings by simply giving you the choice to pick up waste after the tree has been safely felled, possibly to utilize as logs. Our company much prefers to leave your lot tidy and debris-free but it depends on your preferences. Get in touch with our experts without delay! Our staff would be delighted to hear from you.